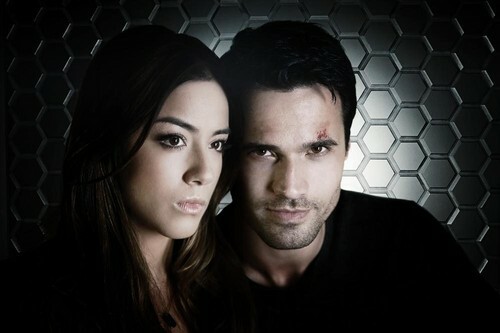 Skye and Grant Ward. . HD Wallpaper and background images in the 荧幕情侣 club tagged: photo. This 荧幕情侣 photo contains chainlink研究围栏, chainlink篱笆, 油布, 肖像, 爆头, 特写镜头, 特写, and 爆头特写.